Rally is the very latest dog sport to be recognised by the Kennel Club. It’s fun and no matter what level you and your dog may be at it’s easy to get involved and start training and competing. Rally involves you and your dog working as a team to navigate a course with numbered signs indicating different exercises to perform; think of it as a sort of ‘obedience exercise obstacle course’ including simple exercises. The course is set by the judge or trainer. There is no pause between exercises – you and your dog work briskly through the course without direction from the judge. You are encouraged to talk to and praise your dog during the performance. Any dog can get involved; your dog does not have to be a pedigree dog to take part, but if you want to compete it must be registered with the Kennel Club on either the Breed Register or the Activity Register. Further details can be found on the KC website . 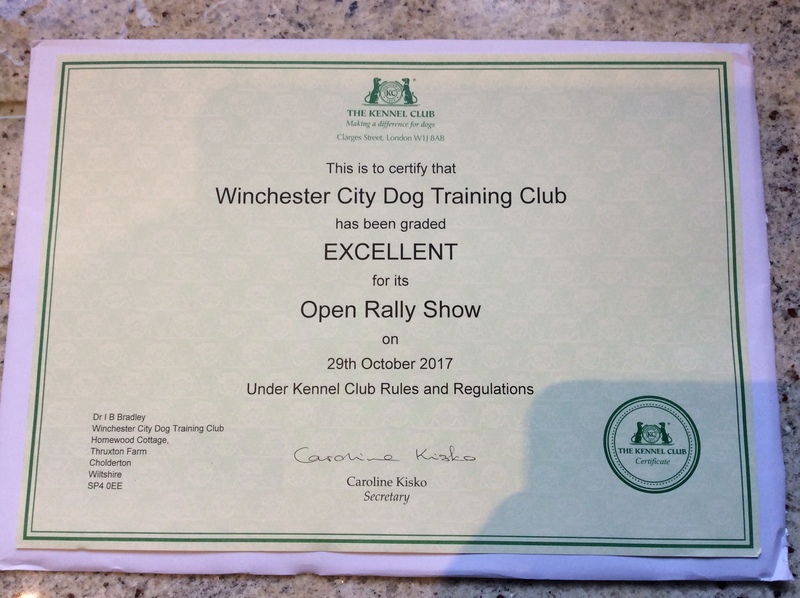 Winchester City Dog Training Club have held three Rally Shows (or trials) at Shedfield Equestrian Centre, Hampshire, in December 2016, October 2017 and November 2018. 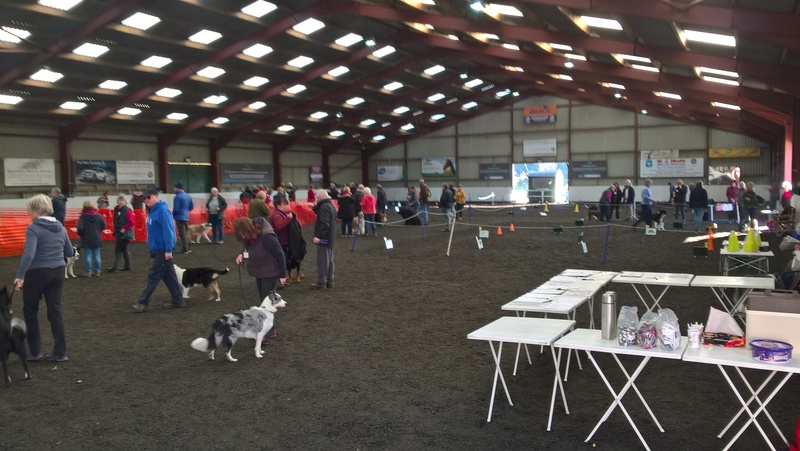 Following a Kennel Club field officer inspection in 2017 the Show was graded Excellent. Next show – subject to confirmation, Sunday 17th November 2019, at the same venue. Rally classes are held at Otterbourne Village Hall monthly on a Wednesday evening from 19:35. Sue Garner is the trainer.